The school operates a creative topic-based curriculum, which is carefully planned by teachers to be as engaging as possible for the children. 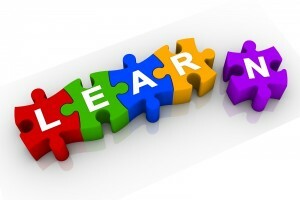 All of the topics planned meet the objectives of the new Curriculum 2014. Teachers are encouraged to make lessons as interactive as possible, whilst encouraging children to become independent and resilient learners. The school places the 3Cs at the heart of all that it does, promoting Choice, Challenge and Collaboration. The school prides itself on offering the children a wide range of stimulating experiences, including trips, visitors, workshops and so on. All of the teachers in school have received training from the school’s SENCo on ways of adapting the core curriculum offered to meet the varying needs of children with SEND. Teachers have been provided with a number of examples of scaffolding devices which can be adapted to met the needs of individuals. 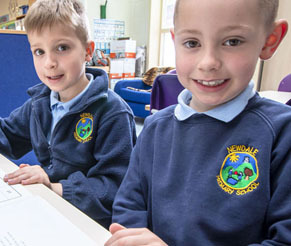 Newdale is a fully inclusive school and nursery, but equally we understand that minor adaptations may need to be made, or support put in place to allow all children to access the curriculum to the best of their ability. The school is very well supported by an incredibly strong team of Teaching Assistants and Higher Level Teaching Assistants. Although an undoubtedly invaluable resource, in the interest of promoting independence it is unlikely that the majority of children with SEND will be supported by a TA all of the time. We believe that SEND children, just like any others, need to learn how to think things through for themselves and to develop the important skills they will need later on in life. If a child has physical difficulties which mean that they require the support of an adult on a more frequent basis throughout the day this can be arranged, but this will be considered on a case by case basis. The Nursery is managed by the Foundation Stage Teacher who is SENCO for the setting. The Nursery Staff are highly qualified with a supporting teacher and foundation degree level support. The Nursery works closely with the school in the monitoring of children and teaching support that is offered on a daily basis. 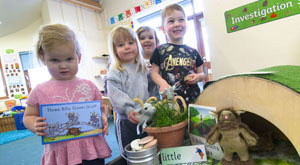 The Nursery conforms and plans through the EYFS encouraging childrens interests and supporting thier needs.